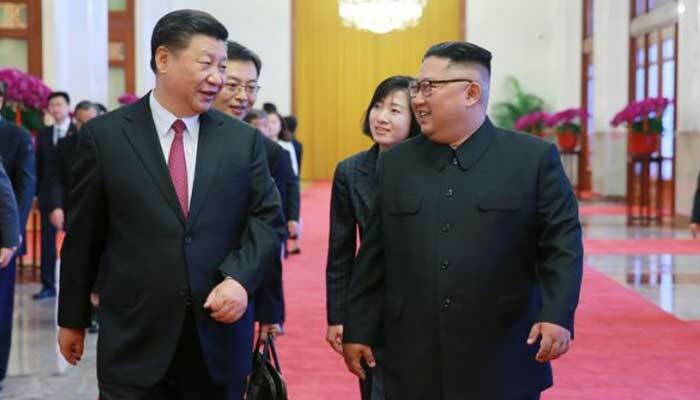 SEOUL: North Korean leader Kim Jong Un expressed "concern" about the deadlock in denuclearisation discussions in his talks with Chinese President Xi Jinping, Pyongyang´s state media reported Thursday. Kim "raised concern about the impasse created in the process of improving US-DPRK ties and in denuclearisation talks", the official KCNA news agency said. Kim said Pyongyang´s "basic position of pursuing a peaceful resolution through dialogue remains unchanged", it added. China is the North´s main diplomatic backer and key trade partner, whose forces were instrumental in fighting for it during the 1950-53 Korean War. According to KCNA, Beijing issued a ringing endorsement of the North´s position. "Xi Jinping said that the legitimate issues raised by the DPRK are rightful demands and that he fully agrees that the DPRK´s reasonable interests should be justly resolved," it said. It added that Xi accepted an invitation by Kim to visit the North "at a convenient time" and "informed him of related plans". It would be Xi´s first trip to Pyongyang since he took power in 2012. But it is not the first time Pyongyang has said Xi has accepted such an invitation -- it did so in March last year after Kim went to Beijing for the first time as leader, but Xi has yet to make a return journey.